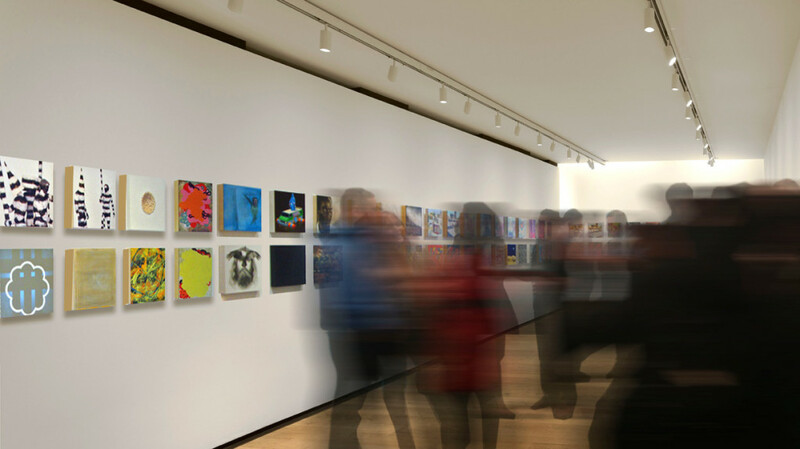 “When we first considered building an art collection, we needed advice on how to navigate the art world and where to best focus our investment. As buyers, we had a common interest in modern and contemporary art but needed the right expertise and guidance to better inform our purchasing decisions. Our friends introduced us to Bridgette Mayer who they said would provide highly personalized advice with our specific goals in mind. Over the past several years, Bridgette has educated and guided us well. As a result, we’ve assembled a small collection that we enjoy very much and where the return on our investment in terms of appreciation has exceeded our expectations. Bridgette’s experience and deep knowledge is impressive as well as her broad industry connections. “I met Bridgette Mayer through her advertising her exhibitions in Philadelphia Style Magazine. The creativity of her ads as well as the artwork caught my attention and I had to go check it out. I have a passion for collecting art and immediately connected with the contemporary art she exhibits in her Philadelphia gallery. Bridgette was very professional and great to work with. She helped me identify artists who fit my aesthetic and I learned a lot from her expertise through the process. “I live in an IM Pei designed home and, recently had it restored to its original architecture and design with other beautiful features added to the space. I wanted a world class art collection to go with the quality of my space, so I hired Bridgette Mayer to help me. We started off by working with nationally known artist, Neil Anderson, to commission a very large abstract painting for the living room space which reflects the changing landscape reflected outside the windows in my courtyard. From there, the collection developed piece by piece with special attention to the architecture, feeling in the space, my aesthetic and quality of the art. The end result is a fantastic mix of contemporary art from emerging to highly established artists. Bridgette worked with several galleries in New York and well as commissioning works directly from artists. She brought each piece of artwork into the space to make sure it was the right match before I made the purchase and, assisted with every detail of the installations down to doing touch-up paintwork. “I have had the honor and privilege of working with Bridgette for the last fourteen years as one of her represented artists. It has been an amazing journey, as I have grown as an artist and she has cultivated an incredibly successful commercial gallery business. “So excited to see Bridgette Mayer Gallery selected as best art gallery in Philadelphia. I have been following Bridgette’s artists since she opened many years ago and this woman has impeccable taste. I was looking to add more contemporary and abstract works to my landscape art collection and after researching and visiting all the Philadelphia Galleries, her gallery stood out for the quality, consistency of exhibitions and uniqueness of works being shown. It also doesn’t hurt that she has been recognized locally and nationally including a spot on CNN’s Anderson Cooper. It is fun to have the gallery and artists you purchase validated. “Bridgette’s passion for connecting people with art is tireless. She doesn’t just sell art, she fosters connections between her clients and the art—and in many cases the artists themselves. This creates a much more emotional bond between us as collectors and the pieces we own. She understands that for us, knowing the story behind a piece, whether that’s the provenance of something she has found for us in the secondary market or an intimate tour of an artist’s studio turns the process from a transaction into a relationship.